The true meaning behind the most popular flowers ahead of Valentine’s Day. When it comes to Valentine’s Day, you can’t go wrong with the gift of flowers. “It just instantly inflates your mood,” said floral designer Rachel Trimarco, founder of Bride & Blossom in New York City. Flowers are always a fresh choice for a gift for a loved one, but with so many varieties, it can be hard to choose the perfect bouquet. Although Trimarco deals exclusively with florals for weddings, she offered "Good Morning America" her expert opinion on picking out the perfect set of florals for anyone ahead of Valentine’s Day. Red Freedom Rose: In terms of flowers and love, obviously the most common is the rose. It is definitely the most expensive and the most popular one throughout the season. A rose, especially a single, red rose symbolizes love and has for many centuries. 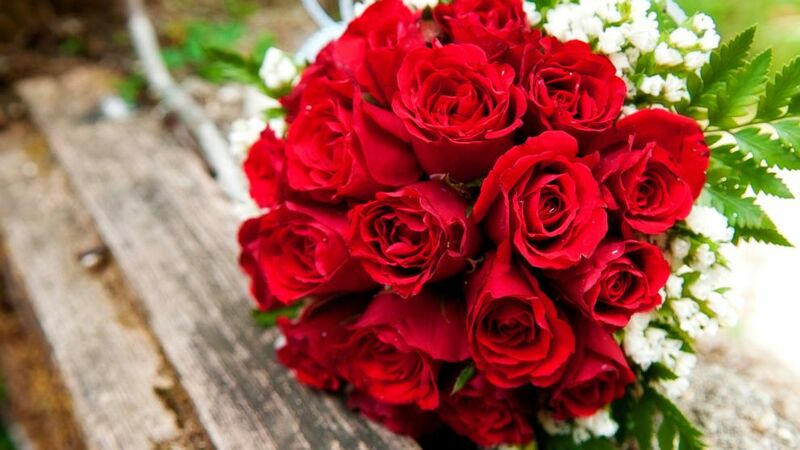 (STOCK IMAGE/Getty Images) A bouquet of red roses lays on a wooden picnic bench in this stock image. Cymbidium Orchid: Cymbidiums are special because they are very durable, whether they’re in hot or cold temperatures. They symbolize love, strength, beauty and are commonly used in wedding flowers, both bouquets and also in centerpieces, arrangements. Carnation: Carnations have made a big comeback with different types of carnation in different colors. They’re great for color-blocking. They’re a representation of fascination and a woman’s love. Especially the pink carnation, which is supposed to represent a mother’s eternal love. 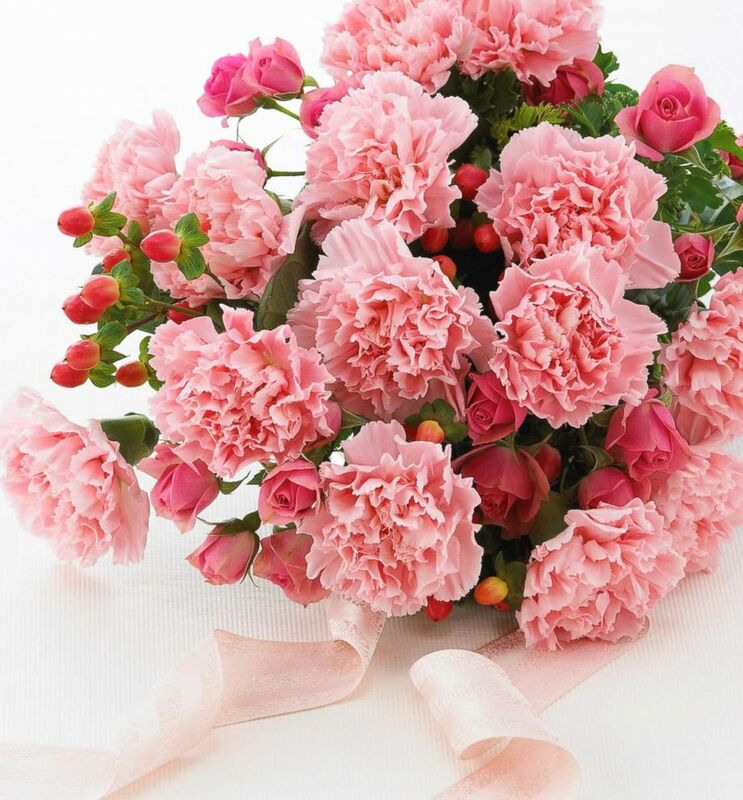 (STOCK IMAGE/Getty Images) Bouquet of pink carnations sits on the table with a pink ribbon. Hydrangea: You would not usually think of a hydrangea as a flower that symbolizes love, but ancient mythology has it that an emperor would give hydrangeas to the love of his life’s family as a way of apology for not spending enough time with her and focusing all his time on his business and activities. It symbolizes forgiveness, understanding, and apology. Calla Lily: Another commonly used wedding flower is a calla lily. It has a beautiful structure. It’s considered more of a contemporary bloom, in general. Some brides don’t love calla lilies, but if you’re going for more of a contemporary, modern design -- it’s a wonderful choice. It symbolizes holiness, faithfulness, strength, love, and loyalty. Yellow Finesse Rose: The yellow rose, in particular, represents friendship. Whether it be a cluster of all roses or roses incorporated into an arrangement featuring additional blooms, it’s always a great choice for a friend, family member, teacher, or anybody special in your life. 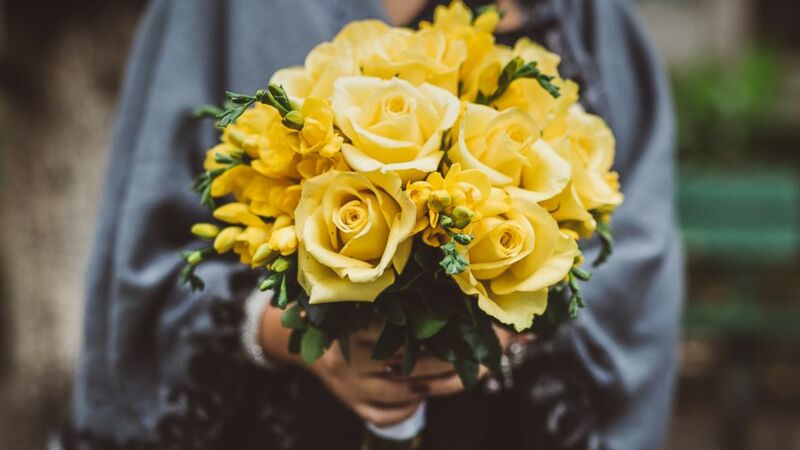 (STOCK IMAGE/Getty Images) A woman holds a bouquet of yellow roses in this stock image. Mimosa: A mimosa is a yellow flower with multiple blooms on a head, representing the expansion of career, life, travel, and family. They’re a great option for the strong women in your life. Tulip: Tulips are commonly thought of as being spring flowers but they’re actually available year-round. They represent and signify a perfect love. In particular, white tulips represent a forgiveness and loyalty. Stock Flower: It doesn’t have a very fancy name but the stock flower does represent a happy life and contentment, in general, which is something I think we can all agree we can use.